Bell Star Carbon Graphics -- Ring in the New Year! BOOM in with the New Year come Bell with nothing less than some killer graphics for their premium helmets. All new for 2014 are three stunning new colorways for the Bell Star, all carbon fiber, all serious business. 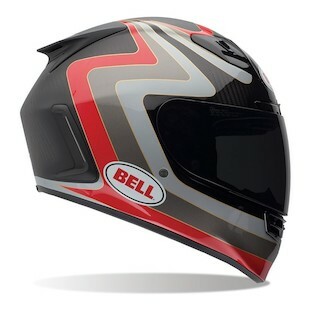 The first and fastest of the graphics is the Bell Star Carbon Airtrix Boogie Helmet. This design leaves some raw carbon fiber exposed, separated by a tri color stripe, outlined with gold details. The front exposed carbon has a gloss sheen to it, with the rear being finished in matte detail. 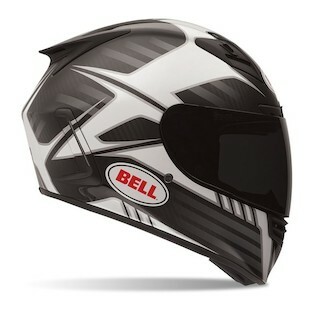 Next up is the stealthy Bell Star Carbon Pinned Helmet - a neutral colorway with a sharp aggressive graphic. This model has the highly sought after matte finish with no gloss clearcoat involved - a long time best selling style in Bell’s arsenal. Bell also added a ghosted gray design to this helmet which looks to be hiding beneath the matte white primary graphic - pretty sinister looking if you ask me. 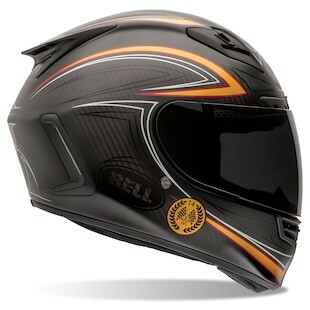 Last but most certainly not least is my favorite of the new graphics, the Bell Star Carbon RSD Sway Helmet. Yes, RSD stands for Roland Sands Design, a commemorative helmet with a classic Roland Sands style and flare. Subtly painted pinstripe graphics, this is predominantly a raw carbon helmet with a racing logo along the jaw; signifying Roland’s 40th birthday. Folks, the Bell Star is back in action and here to stay with a much appreciated refresher. These designs are classy, rocking, and attention grabbing. It goes without saying, no matter where you are riding, if you are in one of the 2014 Bell Stars you will be noticed.